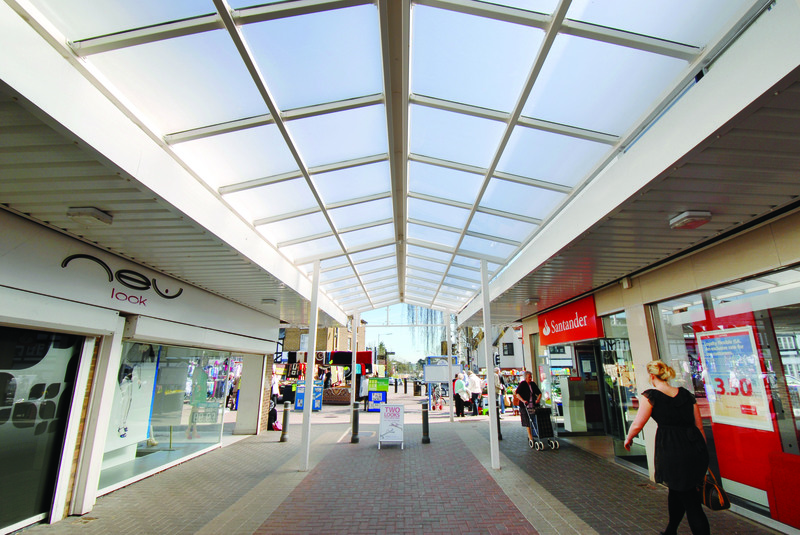 This popular residential and shopping area offered unit owners and shoppers all year weather protection, providing a water tight, UV filtered, high level airy canopy. 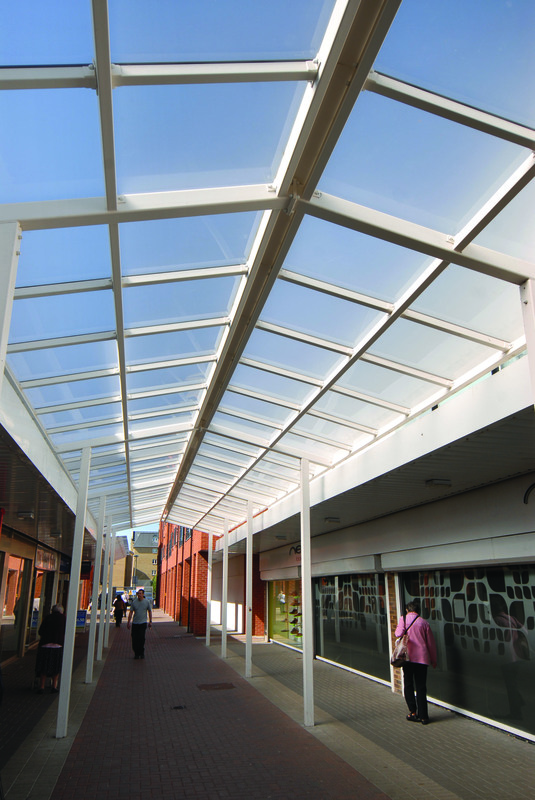 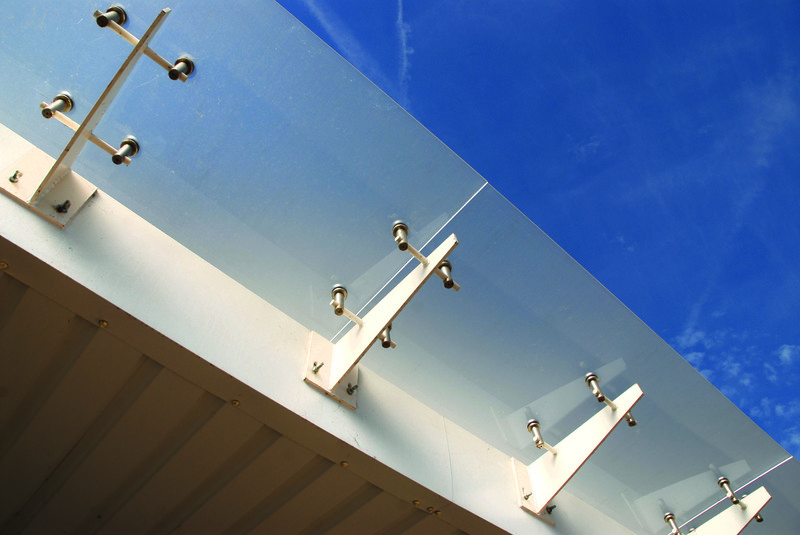 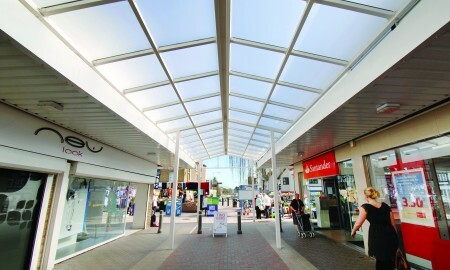 The walkway features a duo-pitch roof design using impact proof acrylic glazing sheets. 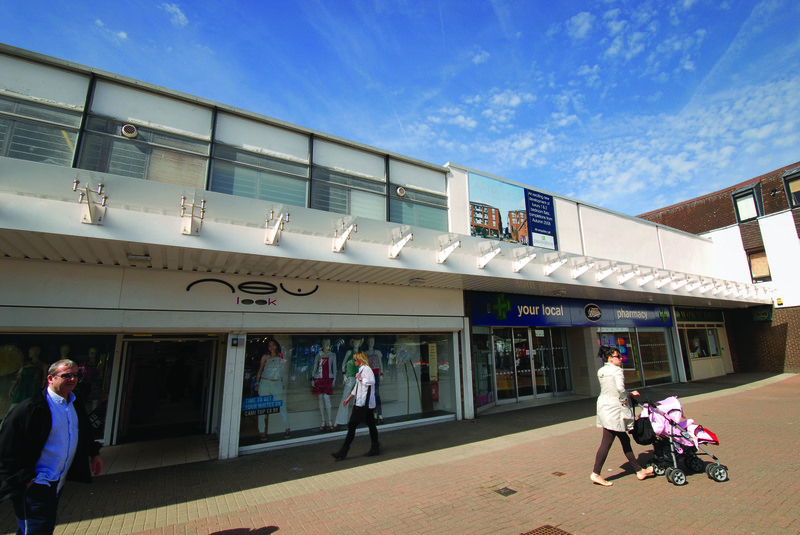 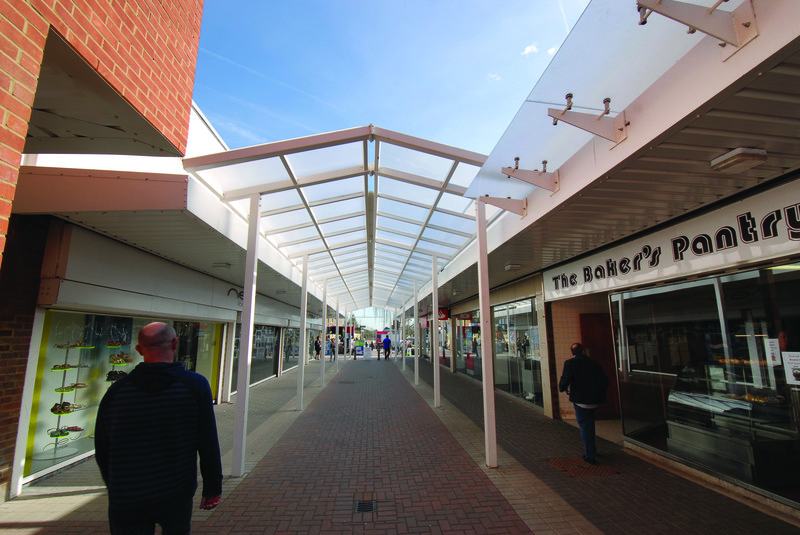 Slender columns supporting the roof minimise obstructions beneath the canopy, whilst the white framework complemented surrounding buildings and shop units. 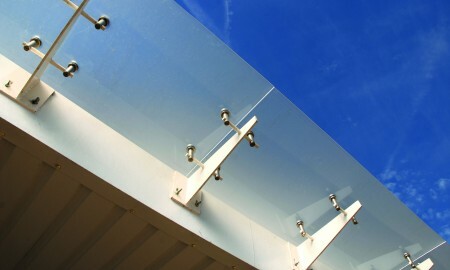 Cantilevered acrylic canopies were also provided to extend the coverage already present on the development. 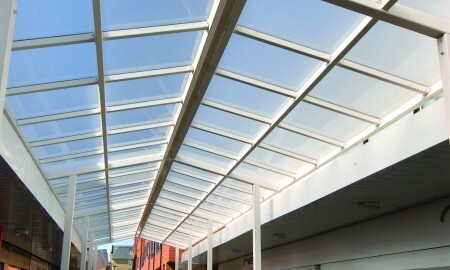 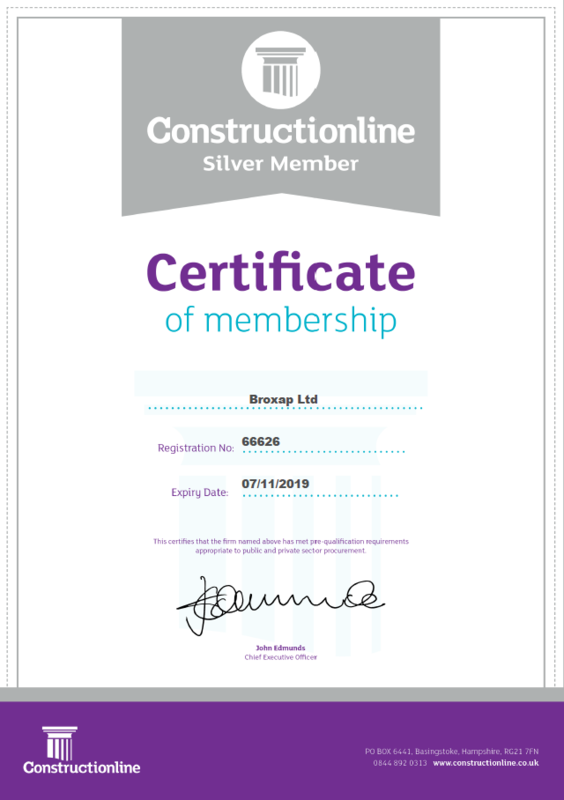 Broxap designed and engineered the final solution, which was installed under challenging conditions. 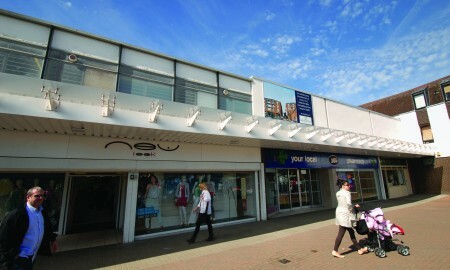 Cladding work was also undertaken as part of the sub-contract package.